A. Ruth Nevers of Coldstream passed away on Wednesday, January 9, 2019 at the Upper River Valley Hospital in Waterville. 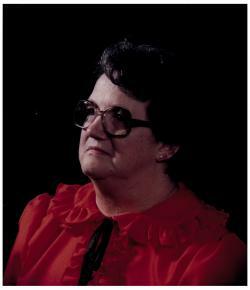 She was born June 15, 1928 and was the daughter of the late Alfred and Julia Rowley. Besides her parents, she was predeceased by her husband, George Nevers; son, Larry Nevers; sister, Wilma (Herby) Cammack; brothers, Walter (Betty Ann) Rowley, William (Donna) Rowley; brother-in-law, Clifford (Muriel) Nevers. Ruth is survived by her daughter, Connie Wilkinson of Bubartown; son, Arnold (Linda Colgan) Nevers of Coldstream; grandchildren Tamara (Jeff) Alles, Trevor Wilkinson, Brandon (Tessa) Nevers, Darcy (Jennifer) Nevers, Stephanie (Dylan) Nevers; great grandchildren, Jarrod Alles, Talia Alles, Dean Nevers, Abigail Nevers, Carly Nevers, Gavyn Nevers, Emma Nevers; sister, Marion (George) Logue; brother Raymond (Ethel) Cammack; nieces and nephews; great nieces and nephews. Visitation will be held at the Britton Funeral Home, 2 High Street, Hartland on Tuesday, January 15th from 1-3 and 6-8 p.m. The funeral service will be held on Wednesday, January 16th at 1:00 p.m. at the Coldstream Baptist Church with Pastor Michael Horsman and Pastor Jeremy Simpson officiating. Interment will be in the Greenwood Cemetery at a later date. If so desired, donations can be made to the Coldstream Baptist Church or the Women’s Institute Home in Woodstock. www.brittonfh.ca. 506-375-4343.